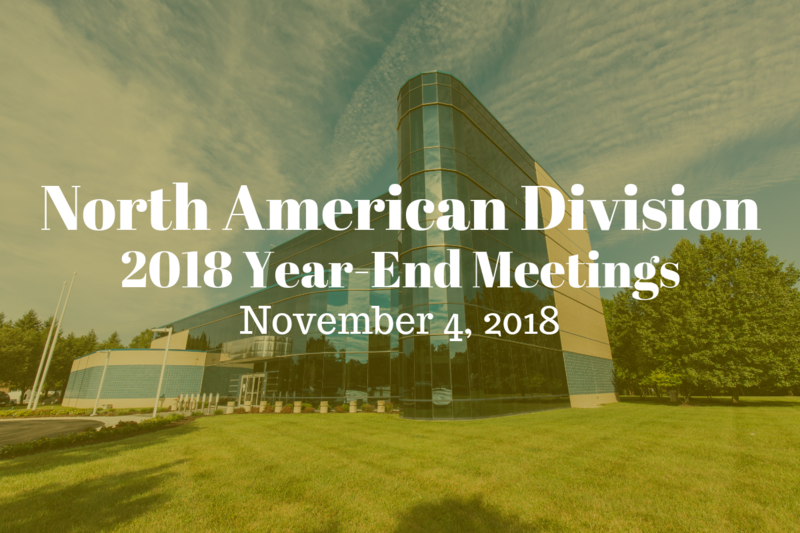 The fourth day of the 2018 North American Division Year-end Meetings, on Sunday, November 4, began with the much-anticipated discussion on the General Conference Annual Council, and specifically the voted compliance document on “Regard for and Practice of General Conference Executive Committee Actions.” But those holding their breath, waiting to see how the NAD will respond to the GC will have to wait a little longer. NAD President Dan Jackson set the tone for the discussion right away, reminding the delegates whether we agree or disagree, everyone is to be treated with dignity and respect. "This discussion this morning is a family discussion. We are part of the Seventh-day Adventist world church family." It’s not about any one person getting their way, it’s about what’s best for the North American Division, he said. Jackson said the NAD officers had discussed bringing a prepared document to be voted today, and many had encouraged them to do so, but he continued, “We don't believe in coming before you as leadership and saying ‘WE decided and let's pray and vote.’” He tasked the delegates that, with the guidance of the Holy Spirit, they would come to a conclusion on how to move forward. After voting that speeches by delegates be kept to two minutes, the discussion began. Several individuals including Southern Adventist University President David Smith and Nevada-Utah Conference President Leon Brown expressed concern over the impact on the church’s youth, who are witnessing disagreements within the church body and unchristian responses to conflict, and are choosing to walk away because of it. “I’m concerned about our young people. We need them more than ever before and this document sends the wrong signal,” said Brown. "What can I tell my students who are leaving our schools or changing their majors because they don't see their future in the church?" asked Burman University student president Tchiana Augustin. Many talked about the discrimination against women within our church, and the fact that this is a matter of conscience. Larry Blackmer, NAD vice president, pointed out that whether you agree with ordination for women or not, the GC’s compliance document is being used as a weapon against ALL women in the church: women elders, pastors, secretaries, etc., are being asked to step down because of the way the document is being used by some within the church. Debbie Jackson, a lay member who was also a delegate at Annual Council, said it was striking to her the lack of women who were on the GC Executive Committee. "I'm not speaking for all women, but I'm speaking for the women who have contacted me... they feel very oppressed...very hurt." I always tells my granddaughter she can be anything she wants to be — ANYTHING, Jackson continued. "I don't want to have to tell her she can be anything she wants to be, unless she wants to be an ordained minister in the Seventh-day Adventist Church." Still others spoke to the need to return to the mission of Jesus Christ, and that this discussion on unity and non-compliance within the world church body was distracting from what we are called by God to do, which is lead souls to Christ. Dan Linrud, Oregon Conference president countered by saying, "There is no place for human caste systems in the ministry of service….This is not a distraction from mission, this IS our mission...we have been called to this time, this place, for this purpose" to support equality. Ron Carlson, president of the Kansas-Nebraska Conference, said that though this started as a discussion on women’s ordination, it has now turned into an entire structural discussion — we have slowly moved from a bottom-up system of governance to a top-down hierarchical system, and we need to return to our original constituency-based model, where authority rests with those in the pews. Neil Biloff, president of the Dakota Conference, and Dean Coridan, president of the Iowa-Missouri Conference, echoed Carlson’s sentiments with an appeal to a return to our Protestant roots. "I suggest the document is usurped authority. The General Conference had no place to even discuss it,” said Coridan. Marc Woodsen, Northern California Conference president, and Randy Roberts, Loma Linda University Church senior pastor, both expressed their concern that people are conflating policy and votes with the Bible. Woodsen read the entirety of Fundamental Belief 14 which speaks to the equality in Christ of men and women. Roberts said, "There is an increasing tendency to conflate policy, Bible doctrine, and votes... to equate these is deeply troubling." He continued, saying, “A document like this cannot create spiritual unity. It may create organizational structural uniformity, but it will not create spiritual unity.” Roberts then said he counted the number of times the word “compliance” appeared in the 3-page voted document (25 times). He then searched the Bible for that word, and found it wasn’t used even once. He decided to search the Bible for the word “comply” which he found does appear once: "Mordecai refused to comply," read Roberts from Esther 3:4. Stewart Pepper, Pittsburgh Church pastor, also read a portion of FB 14 and said we shouldn’t have a policy in place that contradicts our fundamental beliefs. Todd Pascoe, a lay member from the Oregon Conference, said the fact that God chose a woman to lead this church as its prophet should lead our decisions going forward. God could have given the Spirit of Prophecy to William Miller or James White, or any other man, but he gave it to Ellen, said Pascoe. Dave Ferguson, senior pastor of Collegedale Church, said it fills him with shame when members of his congregation ask why they were not visited by a “real” pastor (when visited by a female pastor), and he feels complicit when he has to explain the difference between commissioned and ordained. “I’m not ok with that,” he said. He named the women leaders who had been instrumental in his education and pastoral work, and then spoke directly to the female theology majors at Southern Adventist University. “You are my equals,” he said, and then appealed to his two daughters to please be patient with the church. “I would lay down my life for you, and I would lay down my ordination for you.” We’re at a tipping point in this church, where when we look back we may see that our young men and our young women left because we discriminated in a way that was ungodly, he concluded. Across the board, delegates struggled with staying within their allotted two minutes, and several were overcome with emotion at the personal impact this vote has had on so many. After all who wanted to were able to state their case, Jackson called for prayer and then allowed individuals one minute to come back up to the mic and succinctly state a specific action they’d like to see included in the recommendation the writing committee will create. Over 30 delegates came forward with ideas that reiterated what had already been discussed. Juan Prestol-Puesan, GC treasurer, appealed to the committee to be very careful with wording and “go slow with language that may indicate separation.” He reminded the delegates that he served in the NAD for 25 years before taking his position at the GC. “I voted for women’s ordination three times,” he added. Jackson assured Prestol there would be nothing in the written document that talked of the NAD separating from the GC. That will not happen as long as I am the president, said Jackson. Undersecretary Ahn asked when the writing committee was expected to return with its recommendation, and Jackson asked them to try for Monday afternoon. After the lunch break, the afternoon session was taken up with brief reports from Adventist Review Ministries, Literature Evangelism, Multilingual Ministries (including Muslim, Jewish, Hispanic, and immigrant/refugee ministries), Philanthropic Services for Institutions, and a report on the Future of Adventist Higher Education Summit that was held this past summer. But the delegates didn’t seem to be able to recapture the energy of the morning. There are two full days of meetings left, and the major item on the docket for Monday — in addition to the writing committee’s task — is the Treasurer’s Report, which could lead to a discussion on creating tithe parity between the NAD and the other world divisions.